Dr. Jennifer Teichman Kerr has been part of the Columbia College online program since 2001 and has taught at the college since 1999. A key attribute of a truly great teacher is the desire to completely immerse oneself in the field he or she is teaching. For Columbia College Online faculty member Dr. Jennifer Teichman Kerr, that field of expertise is history, a topic that grabbed her attention during her doctoral studies at the University of Missouri in the late 1990s. However, the seeds of her love for history had been planted since the day she was born and have blossomed throughout her life. Since 1999, Kerr has imparted that love of history to her students as a member of the Columbia College Evening Campus faculty (1999-2001) and now as one of the longest-serving faculty members for the Columbia College Online Campus (2002-present). She has taught and developed several classes for the Online Campus, but points to History 359: Rise and Fall of the British Empire and History 336: 19th and 20th Century History of Europe as two of her favorite courses. 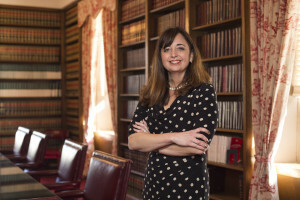 During her time as an adjunct faculty member, Kerr has earned a master’s degree in history from the University of Central Missouri, a doctorate in history from the University of Missouri and a juris doctorate from th e University of Missouri-Kansas City School of Law. 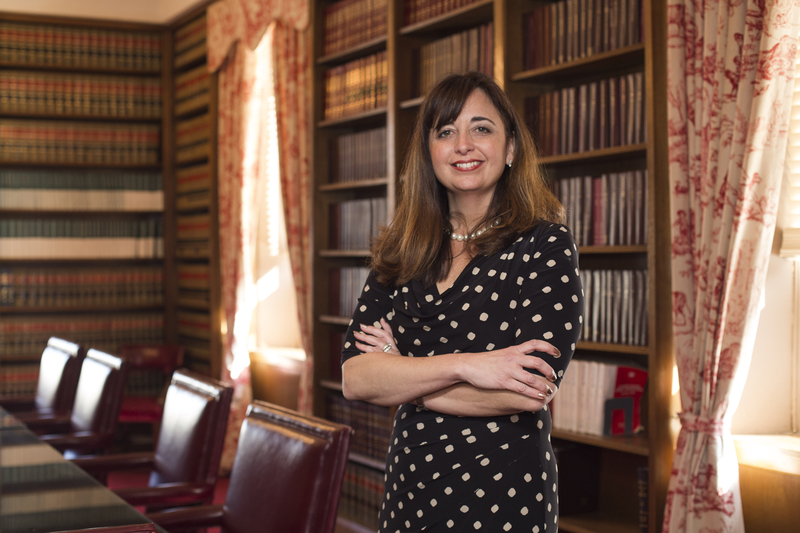 Kerr has practiced law in Lexington for the past four years, going to work every day in the oldest courthouse in use west of the Mississippi. As a matter of fact, she likes to point out that there is still a cannonball in one of the columns in front of the courthouse from the Battle of Lexington, which occurred there in her hometown in 1861. While her field is focused on looking back at the happenings of the world, Kerr has worked to stay ahead of the latest education delivery options the college has to offer. She often utilizes multimedia resources as part of her class offerings and is always looking to find new techniques to bring into her classes, whether it’s video or some other tool. 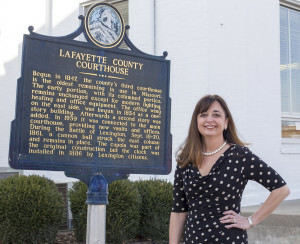 Whether she is helping students in countries halfway around the world or presenting to the Lexington Rotary about the history of Lafayette County, Kerr’s passion for history, hard work and teaching shines through. Dr. Kerr was one of my favorite online instructors. She inspired me to decide on majoring in history and I tell people about her whenever they ask about my online college experience. Dr. Kerr was such a great communicator and I had a wonderful experience in all of her courses.